I’m sure that you know the famous cartoon mouse Remy with his unlimited passion for cooking. In case you have no idea about that movie, you should know this aromatic and elegant French dish. 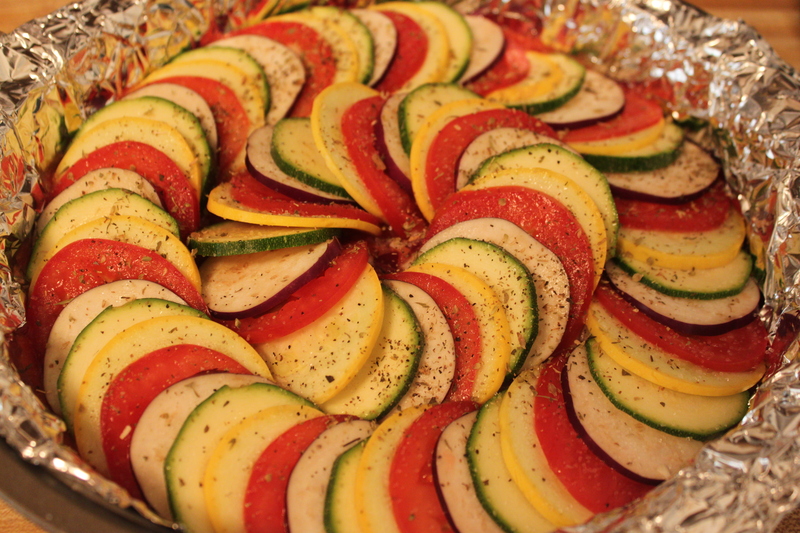 I love to inhale the fragrant flavor on the air from the baked vegetables each time Ratatouille runs out from the oven. 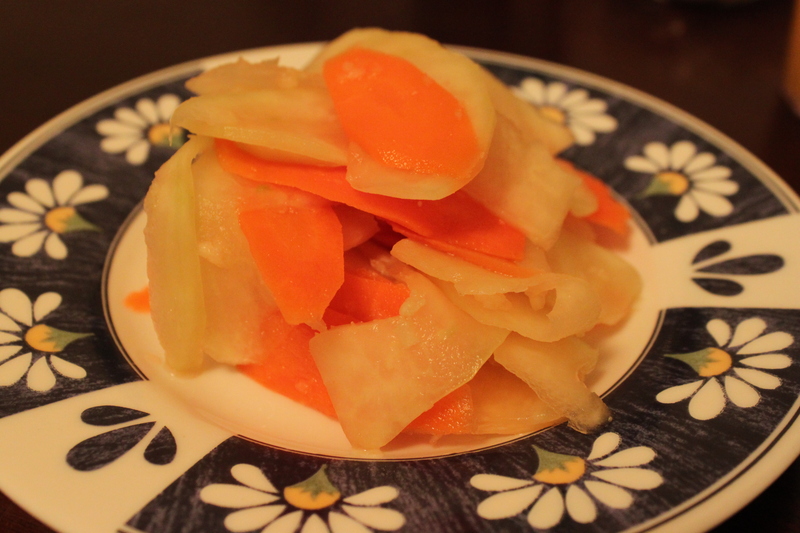 The only thing to succeed in this simple but delicious dish is that you should prepare a sharp knife to make sure you have the homogeneously sized sliced vegetables. Well prepared veggie would help the baking more evenly, and of course, yield a better eye catch to someone who thinks meat is the only one that can give us a good dish. 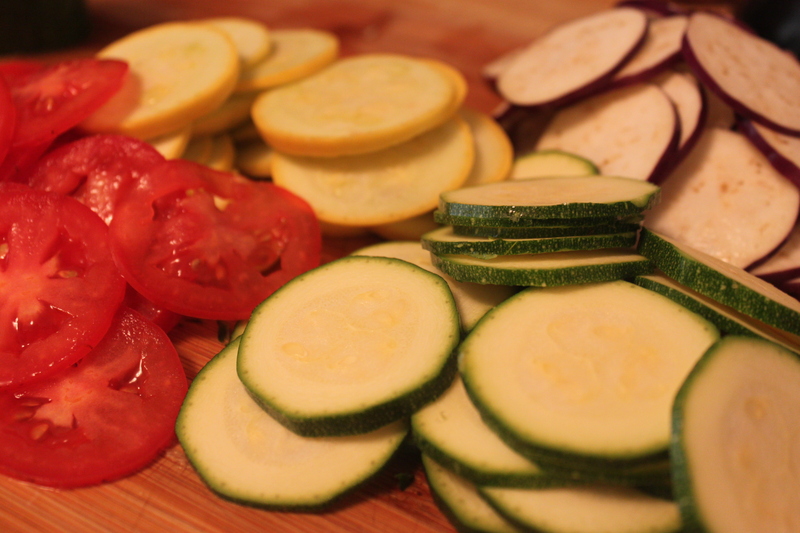 – Use a mandolin, or a superb sharp knife (as I used here) to slice the vegetables very thinly. – Mix the tomato puree with chopped red onion and garlic. Sprinkle salt over the sauce. – Arrange the thinly sliced vegetables on top of the tomato sauce into a way that each can overlap each other and you still can see the color from each’s edge of the veggie. Start arrange from the outside edge of the shallow round pan and continuously toward the center. 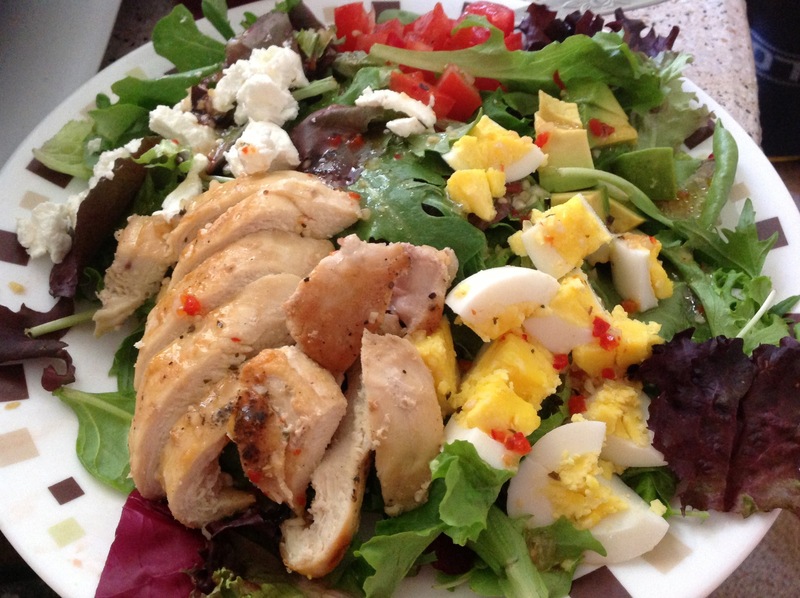 – Sprinkle 1/4 tsp salt + oregano over the well arranged vegetables. – Cover the veggie by a parchment paper. – Bake at 375 F for 45 – 50 minutes. The veggie should be well cooked but still keep its shape. 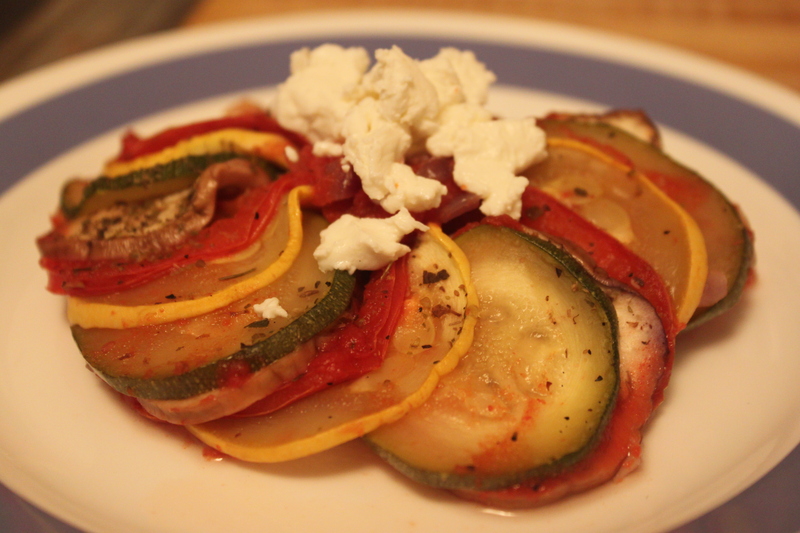 You can serve itself or top a dollop of goat cheese or swiss cheese if you feel your Ratatouille is so lonesome. My hubby suggests that Ratatouille be served with swiss cheese works best.